We are very proud of our gay travel blogging community. It's quite a diverse family with some of the most talented and kind hearted people we've ever met. The trans side of our LGBTQ family is quite underrepresented, so it was with great delight when we came across Aaron Edwards, a FTM trans traveller, blogging about his travels with his girlfriend. 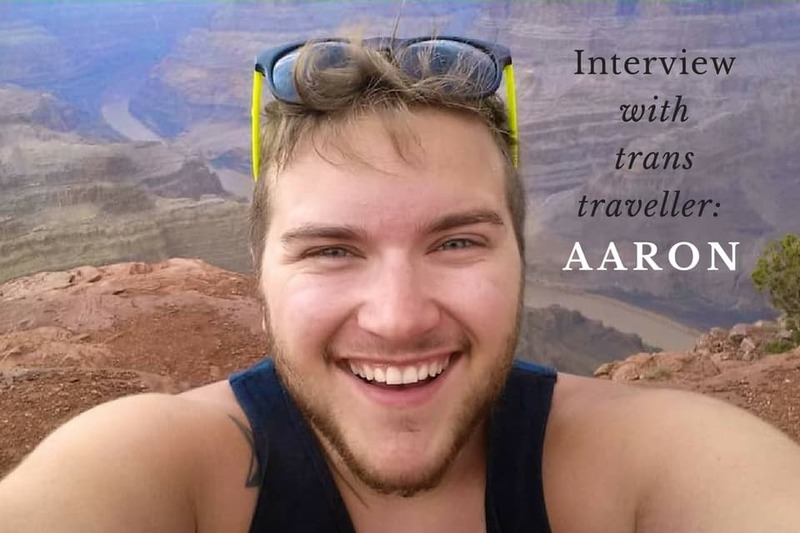 Continuing on from our trans gay stories with ladyboy Regina from Bangkok and trans man Finn from Berlin, Aaron gave us this interview of what it's like travelling as a trans man. How was your coming out and passing? Have you ever experienced transphobia growing up? Have you ever encountered transphobia whilst travelling? Who were your trans role models growing up? Any wise words for young Aarons out there? Hi boys, my name is Aaron and I am originally from Chicago, USA. 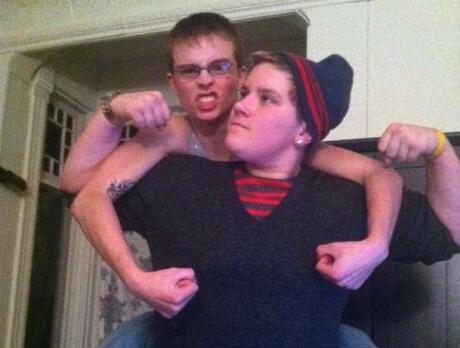 I am a transman and have been with my girlfriend Emily for over 3 years. We met in a gender inclusive/co-ed honours fraternity on campus at Illinois State University. My roommate and I invited her over to hang out and play card games, and since then she has never really left. We've been together for over 3 years and have been having a great time together! Thankfully at airports I've never had any major issues, other than confusion with my syringes and needles for my injectable medication – they always sets off the metal detector, but other than a bit of delay caused by this, I've had no issues. As a young girl, I was a complete tomboy and was convinced I was Tarzan. My mom was really open minded and supportive. She let me wear whatever I wanted and let me be whoever I wanted to be. I first learnt about homosexuality when I was 13 years old and identified as a lesbian, but it didn't truly feel the correct label to describe what I was feeling. I subsequently learnt about transgender when I was 17 and realised this is what I had been feeling all along, so in December 2012 I began hormone therapy and by age 18 I started going by my new name: Aaron. My family could not have been more supportive if they tried. They even threw me a “IT'S A BOY!” party after I got my driving license changed. It took around 1 year before I was no longer accidentally “misgendered” – facial hair was extremely useful for that! In December 2014 I had chest reconstruction surgery, which massively boosted my confidence and of course improved my travelling experiences to more tropical beach destinations. Fortunately never. I was never bullied growing up. The worse that happened was some “friends” stopped talking to me after they found out. After my father found out about my passing, he didn’t speak to me for 3 years and just recently started trying to rebuild our relationship. I have not, but the fear is constantly there. Since I pass well, it never really comes up in conversation that I'm transgender. Sometimes, I do overhear people mocking and making jokes about trans people but I know it's not directed at me. Hostels and bathrooms are also a constant source of fear when traveling. I'm particularly hyperaware when I get placed in a men’s bunk room in a hostel for example. Men’s bathrooms are also terrible. Depending on where you are they can be fancy and pristine, or they can be missing a door or simply contain a row of squat toilets out in the open; you can imagine why the latter makes me anxious! I advise trans travellers to do their homework and check trans laws of a country before visiting. A country's trans laws are usually a good reflection of how the majority of the population feels. So for instance, countries which allow transgender into the military or make it easy to find doctors or insurance to cover medical costs are most likely to be trans-friendly places to visit. I didn't really have any. The closest thing I had to role models was going onto Instagram and following transmen who were a couple months further along in their hormone treatment than I was. Being you is the best thing you will ever do for yourself. Be selfish in this one thing and allow yourself to be happy living the way that makes you happy. 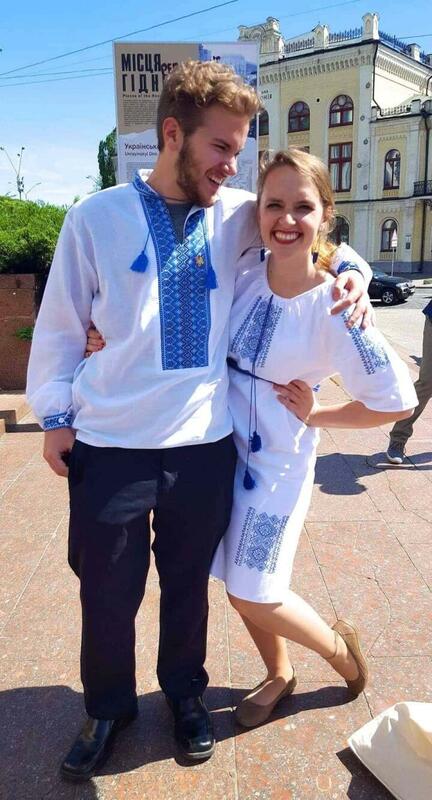 You can follow Aaron and his girlfriend on their travel blog and also on Facebook.